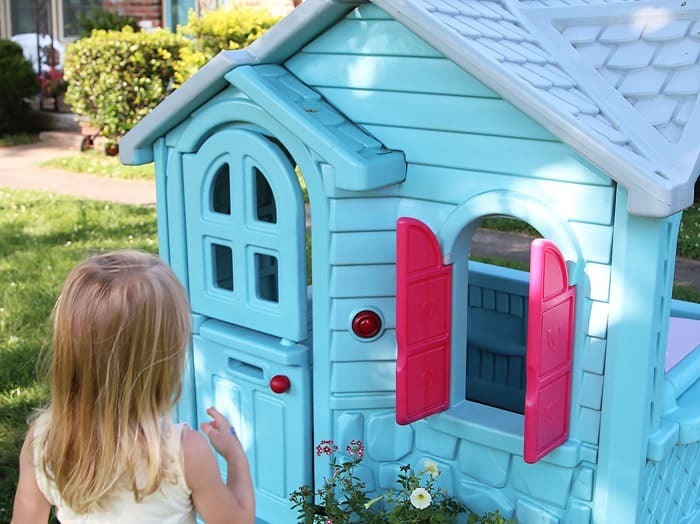 What kid doesn’t love a playhouse? I never had one when I was growing up….soooo deprived. 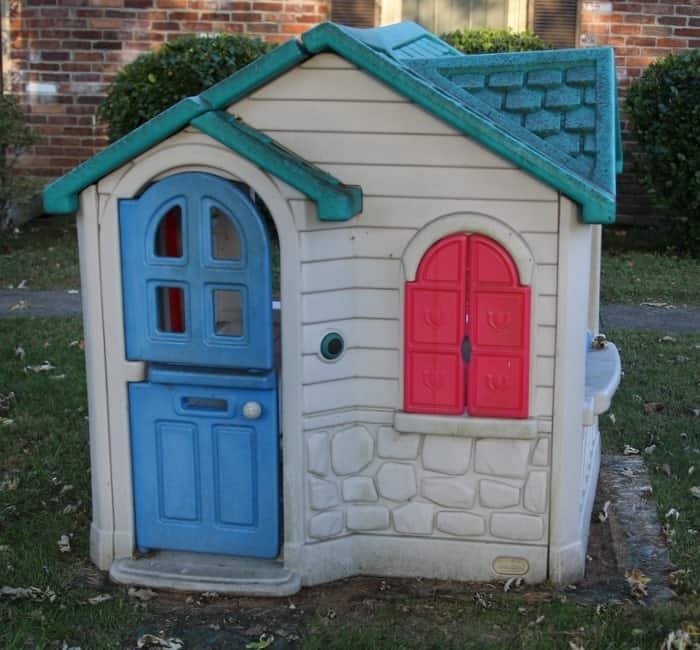 Our neighbors gave us this playhouse about 10 years ago. It was a hand-me-down from their grandson. Our oldest granddaughter, Tenley, was two or three at the time so we were thrilled to get it. That was about 10 years ago. When we set the playhouse up in our yard the telephone didn’t work and the “cooktop” was a mess. 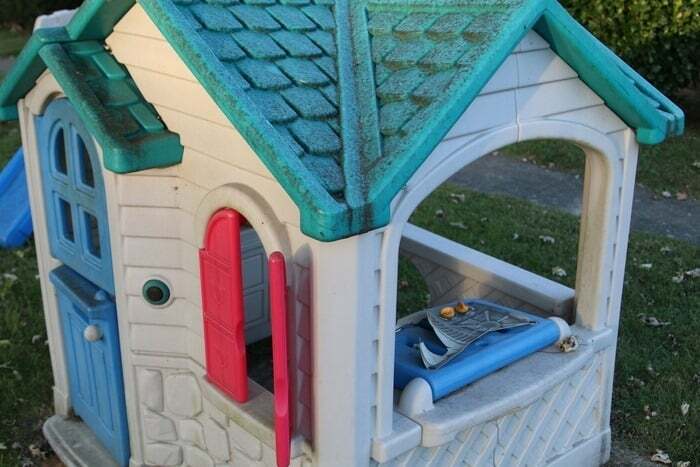 At that time Little Tikes had replacement parts for the playhouse. 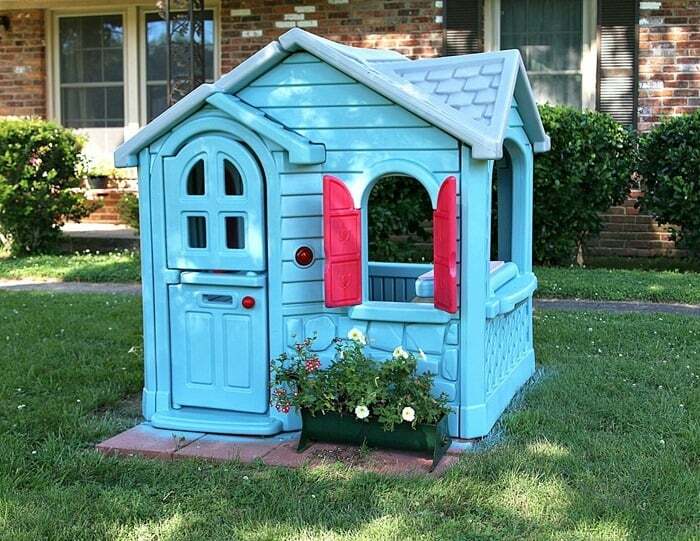 I ordered the two parts and the little playhouse was as good as new. 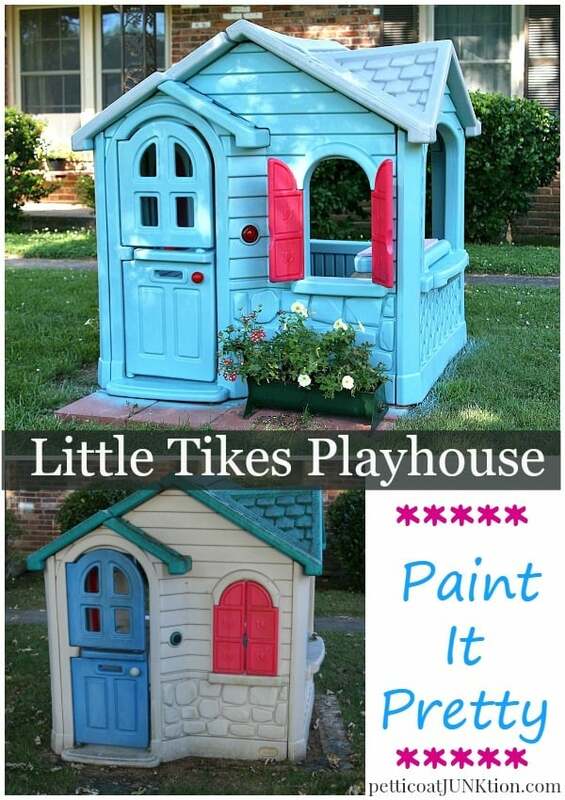 Ten years down the road and one extreme paint makeover the Little Tikes Playhouse is better than new. 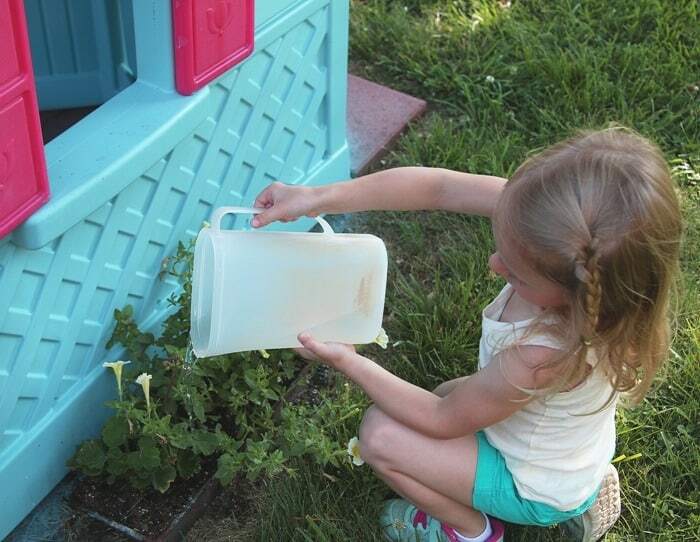 Our youngest granddaughter, Sofi, is four and she loves the little house. This is how the house looked last Fall (October 2015). It was covered in mold and you can see the condition of the “cooktop” in this photo. The JTS (aka Junktion Technical Specialist, aka hubby) took the playhouse apart and used the power washer to clean it up. I painted the roof first. The color scheme I selected was gray for the roof and a soft cape cod looking blue for the “siding”. 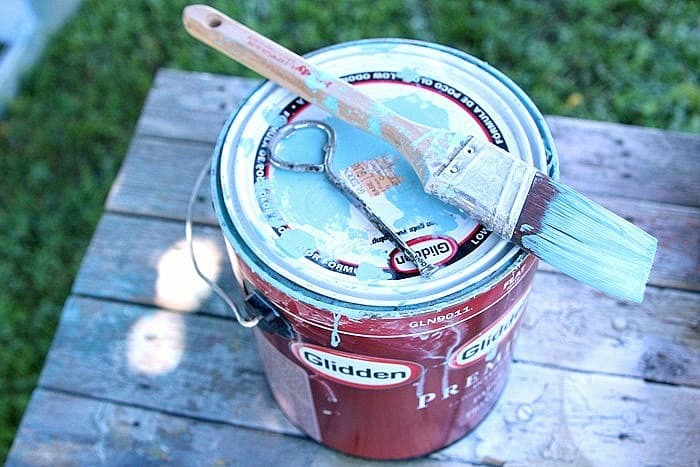 The blue is an oops paint I bought at a local home improvement store. 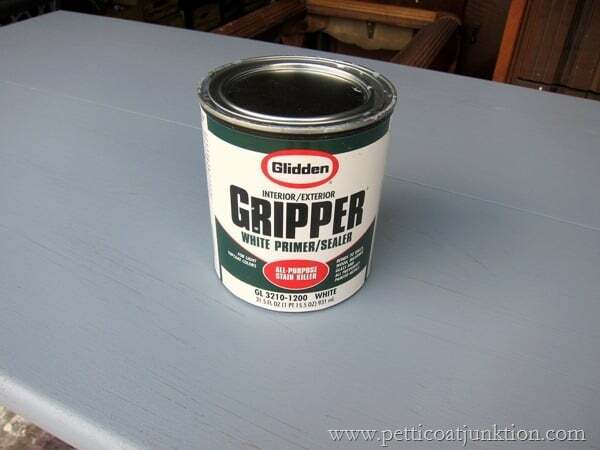 Glidden Gripper Primer tinted gray is my go to primer. I decided the gray primer would be the perfect color for the roof so that’s what I went with….primer. 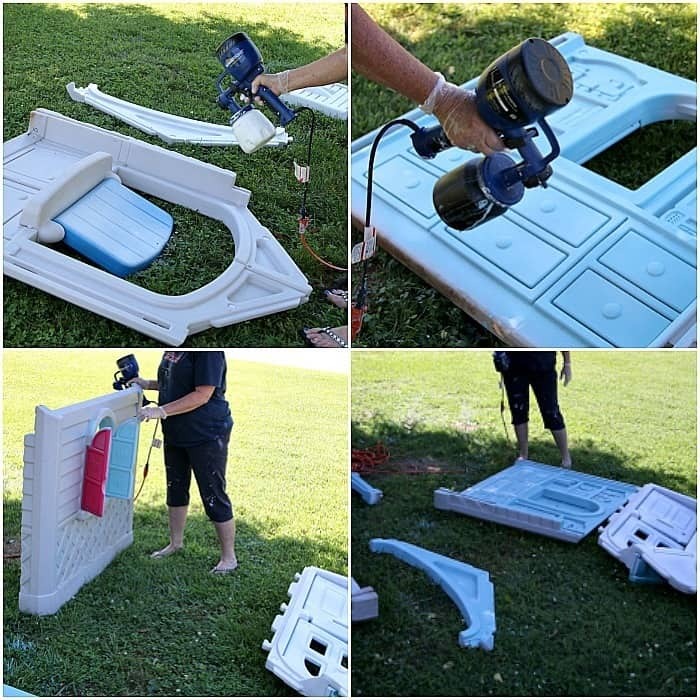 I used my favorite DIY tool for this makeover….the HomeRight Finish Max Paint Sprayer. I sure wasn’t going to brush this thing by hand. Look at all those angles and grooves, no way.took no time at all to spray the roof. I painted the bottom side of the roof first then when it was good and dry turned it over and sprayed the top. What happened next…the weather. I painted the roof at the end of October then the weather turned awful. I didn’t get to finish the playhouse makeover until this month (June, 2016). During the winter Sofi would ask if we could paint the house and I had to keep saying no, not yet. She also wanted it to be a castle when we put it back up, but that’s another story! This photo was taken outside our workshop doors where I usually spray paint things. You can see the playhouse leaning against the tree in the background. That’s where is stayed for 6 months. Needless to say the JTS had to power wash it again before I could paint it. All this time the roof was taking up space in our workshop because I didn’t’ want it to get all dirty before I sealed it. I was going to apply the sealer after the whole house was done. Moving on to June and I’m finally painting again. I worked on the inside of the house first spraying it with white primer. 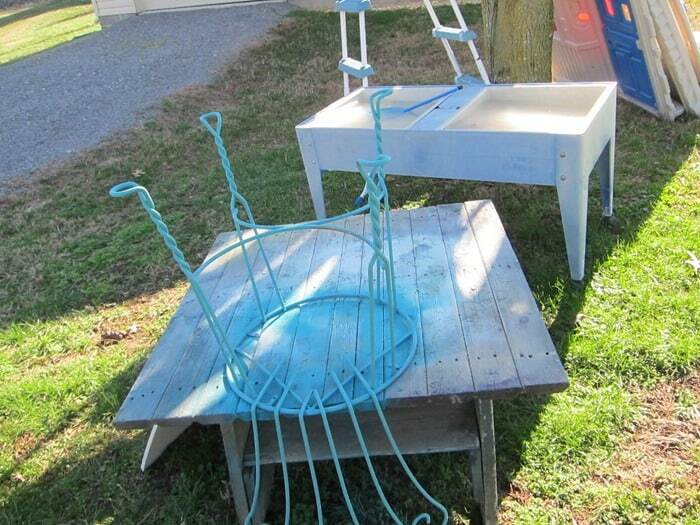 After the primer dried I applied the cape cod blue color. At this point I decided we would put the house together and then paint the outside. The JTS and I set the house up and I applied the blue paint. As shown in an earlier photo I primed the inside of the house before applying the blue paint. I decided the coat of primer was overkill since the blue paint contained primer. I did not prime the outside of the playhouse. 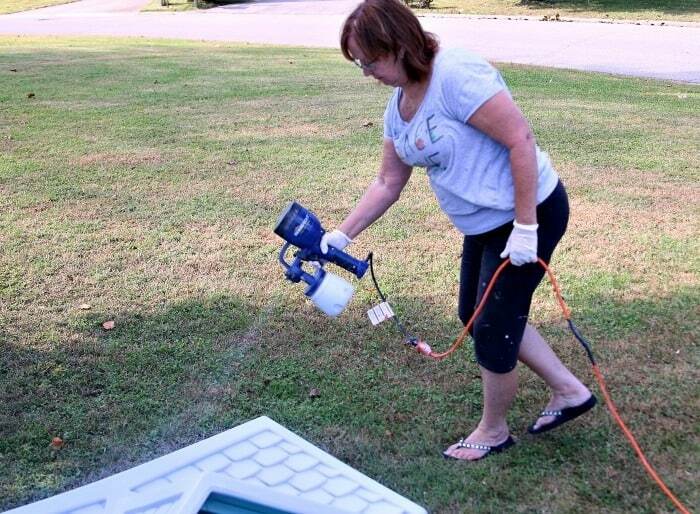 The paint sprayer is such a time saver. I painted the outside all over with a couple of coats of paint in about 10 minutes. When the paint was dry I applied the Minwax Polyacrylic sealer. 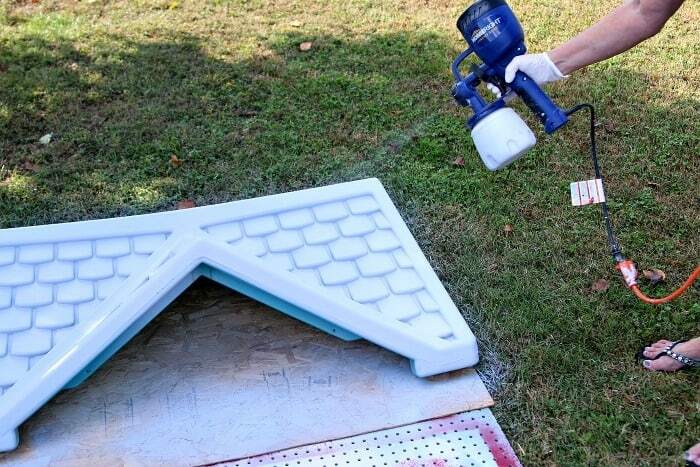 Yes, you can use sealer in the paint sprayer. 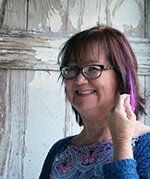 You may have noticed that I painted the house with the shutters attached. When we took the house down we couldn’t get the shutters off. I was afraid to pull on them too hard, thinking they might break. After we got the house back up I did a Google search and found a forum (somewhere, can’t remember where) that said pull up on the bottom of the shutter while pushing down on the base of the house. Our son was visiting and after reading how to remove the shutters I was determined to get them off. I didn’t like the shutters being the same color as the house and they were too difficult to brush paint with them attached. Between the three of us we got them off. Yay! I sprayed the shutters with Simple Green and scrubbed and scrubbed till I got the blue paint off. They were the perfect color to start with. That was a lot of work that could have been avoided. 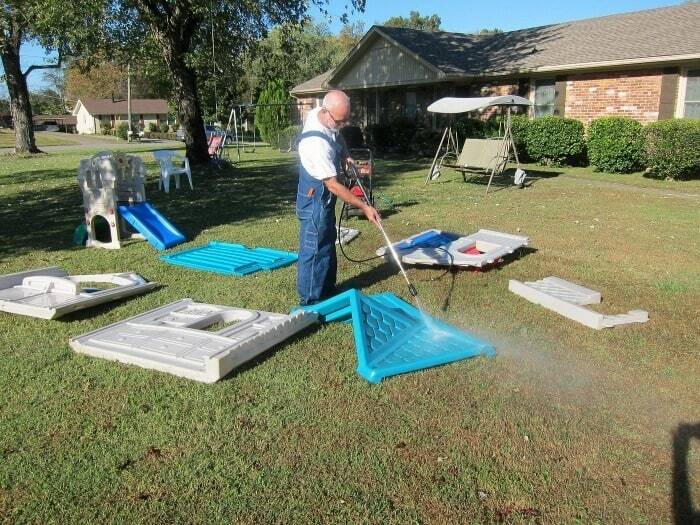 Remove the shutters before painting….you’re welcome. They snap right back on. 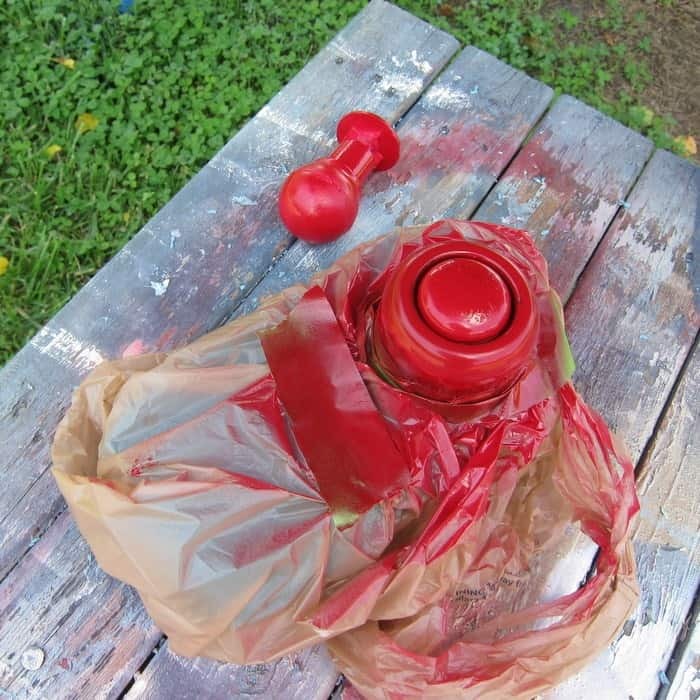 I found a pretty red spay paint in my stash and painted the door knob and door bell. I wrapped Frog Tape and a plastic bag around the telephone part and just painted the outside door bell red. Sofi is happy as can be and forgot all about the castle thing. Thank goodness. I love this project. Yes, I’m patting myself on the back and having a piece of chocolate. As you can tell, Sofi is happy too. The colors are so much better than the original color scheme. I placed a couple of my junk stash planters under the windows and Sofi waters the flowers when she’s here. The rest of the time I get to do it. We had a few concrete pavers left over from another project so that is the floor of the playhouse. The playhouse has been painted and back up for a month now and the paint hasn’t peeled, chipped, or bubbled. I’m happy. Where the shutters swing out at the top…they rub the house and the paint did peel in a small area on each of the windows frames. I can live with that. It’s really not very noticeable. The telephone and door bell still work but the cooktop was trashed. I called Little Tikes customer service and they don’t make the replacement cook top anymore. I’ve searched eBay and Amazon without any luck. If anyone can help with this please email me. I’ve found stickers that might work but still hoping to find a cook top just like the original. It was definitely cheaper to paint the house instead of buying a new one. 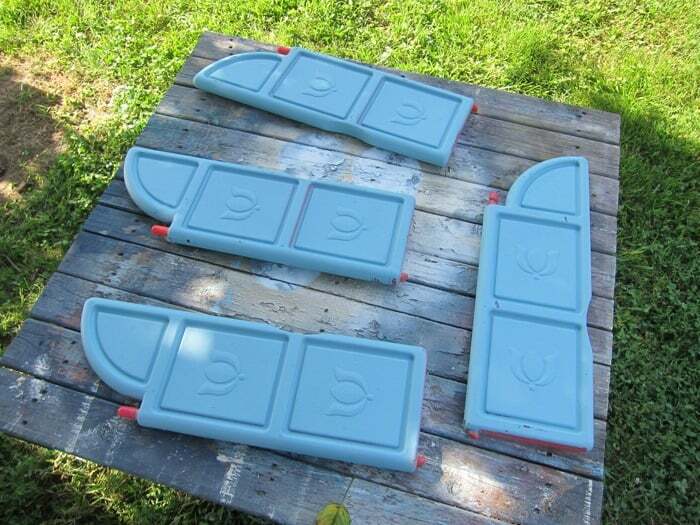 I noticed when researching for the makeover that moms and dads paint all sorts of Little Tikes products. Who knew! We have a small Little Tykes slide I bought at a yard sale that might be my next project. 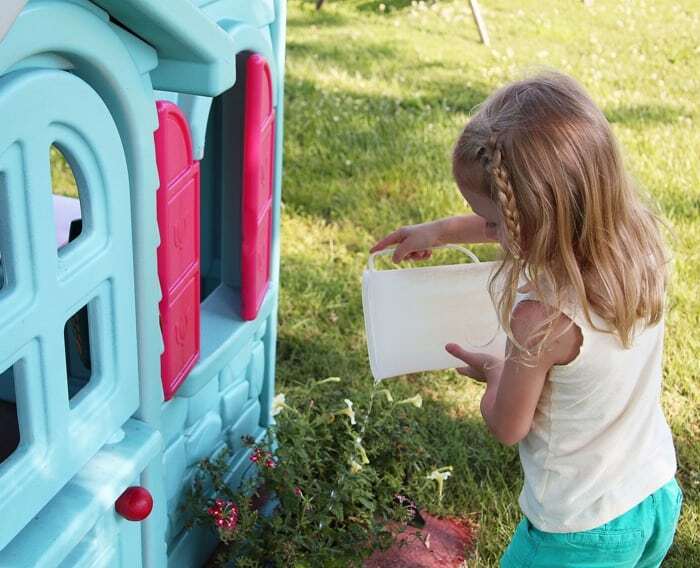 Are you ready to tackle a Little Tikes Playhouse extreme paint makeover? I have a few tips and tricks to help you tackle the project. I learn through doing so next time the job will be a lot easier. Remember it took me 6 months to complete this project because of the weather. If I had this HomeRight Spray Shelter back in October the playhouse would have been finished and back up in no time. I wouldn’t have had a roof taking up space in the workshop, no power washing the house again, and no listening to Sofi ask when we can paint the house. 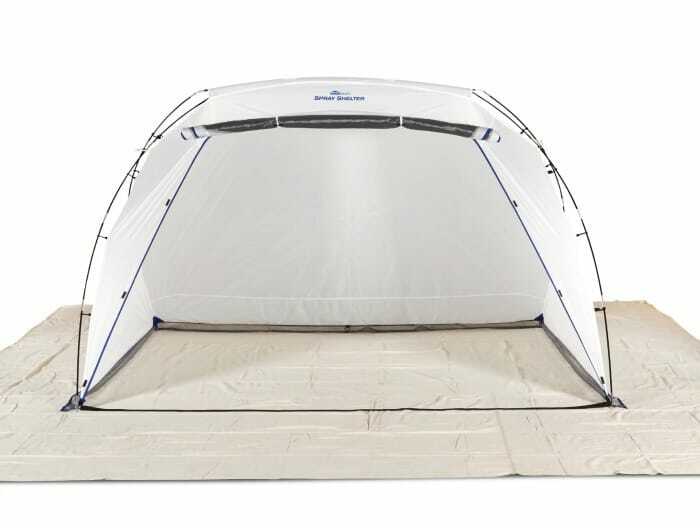 The Spray Shelter protects objects outside of the spray area and can be set up in a garage, workshop, or outside. There is a mesh screen to help protect freshly painted projects from wind, leaves and bugs. I’m getting a HomeRight Spray Shelter and I have one to give away. There will be one winner of one HomeRight Spray Shelter. You can enter once a day until the giveaway ends. Good Luck! enter below…..
Disclosure: Product and compensation were provided by HomeRight. All opinions, project ideas, and project photos are my own. Giveaway closes July 3, 2016 at midnight CDT. Open to US residents 18+ older, void where prohibited. Winner will be chosen at random and contacted via email. If the winner does not respond to the email within 48 hours of the sent time, another winner will be randomly selected. Step 12. Accessorize in your own unique style and enjoy! I love that! 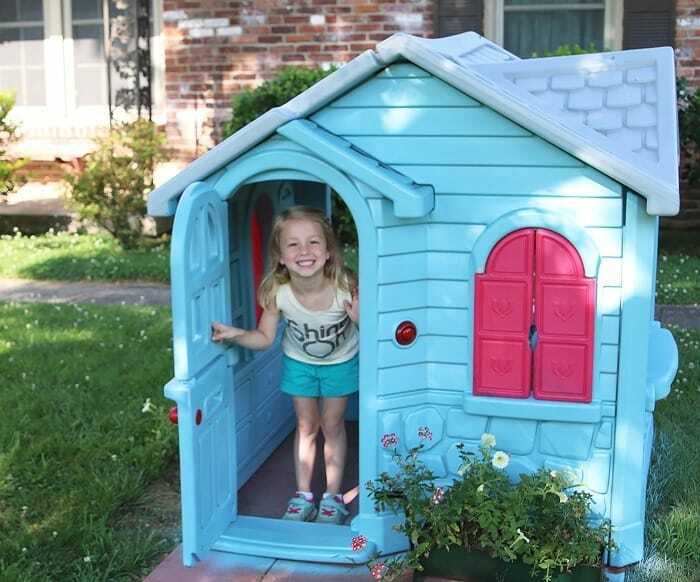 It turned out so cute and your granddaughter will have many happy memories playing in it. ? 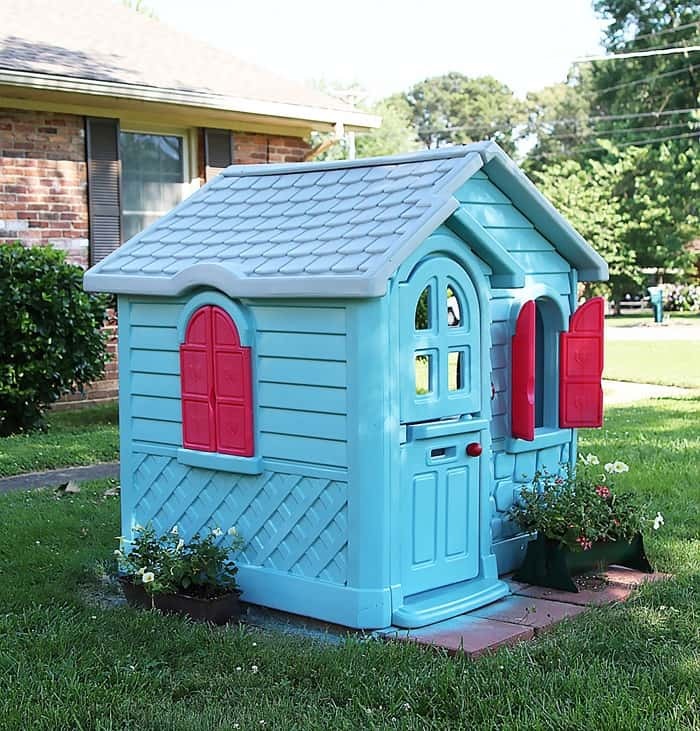 I’ve wanted to find a cheap playhouse to update for my boys for a while, but I’ve been unsuccessful. Love this update, thank you for sharing at Merry Monday! I’m in love with every thing I saw at your site. I’ m newbie here congrats. 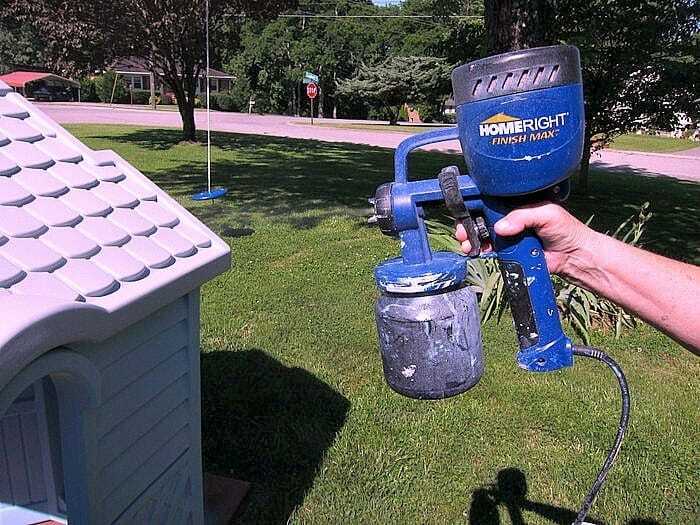 I NEVER would have thought to paint those plastic houses!!! OMG! Our backyard would have looked so much better if I had read your post 10 years ago. LOL!!! They get so ugly and faded so quickly. 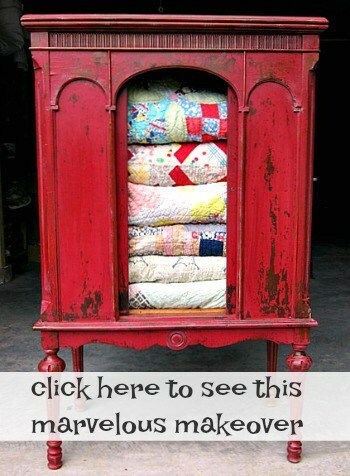 LOVE this idea and I’m passing it along to my Sister for her two daughter’s playhouse!! Hi. Kathy I. 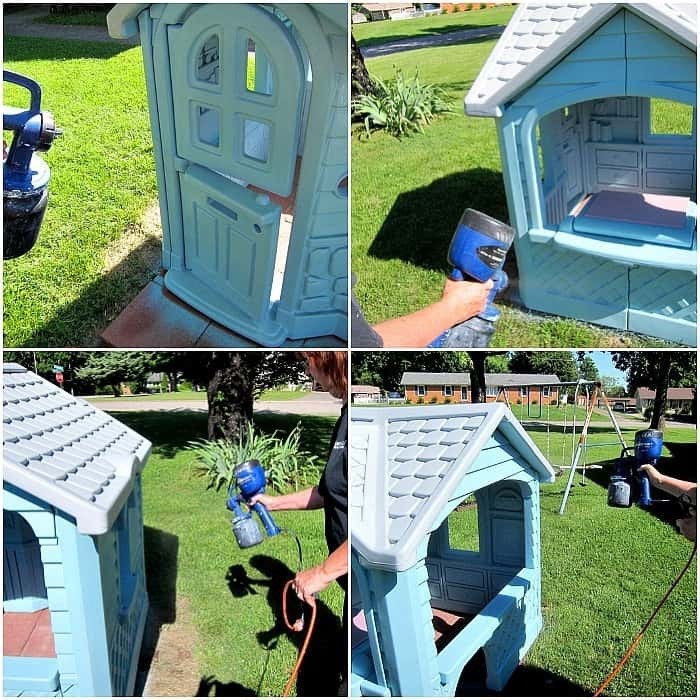 Did paint a play house for my chickens . So they could get out of the sun then. We put Christmas. Lights on it ! Turn out stinking cute ! How do you enter I did not see a spot to enter ! Mary, On a desktop or laptop computer the rafflecopter box is beneath the paragraph below the photo of the spray shelter. It says HomeRight Spray Shelter answer a question. On mobile phones it is a small rectangular box with an arrow to click to open the entry box. Hope this helps. Kathy, you sure have updated this little playhouse. I’ve seen many of them in my 30+ yrs as a preschool teacher/daycare director and you have made it look new again! Way to go, and then to give it away? You’re a real winner! Hey Barbara, I’m not giving away the playhouse. I’m giving away the HomeRight Spray Shelter. 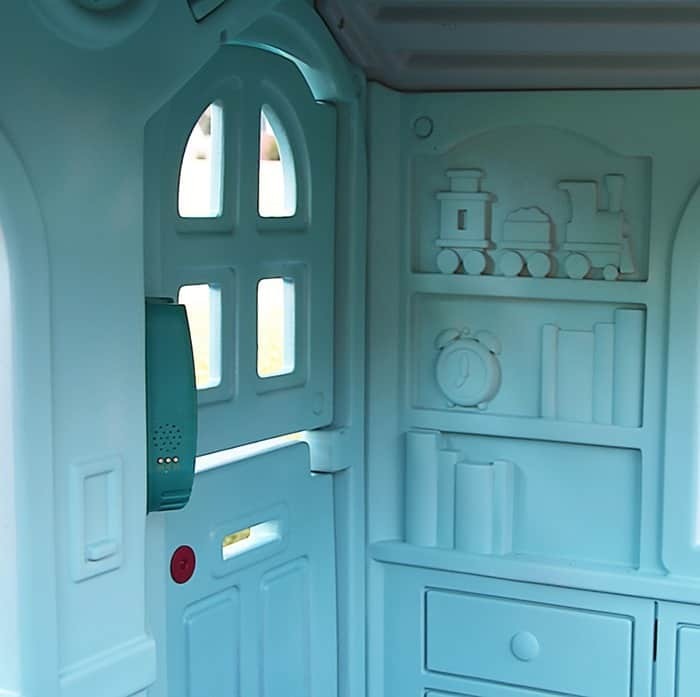 Kathy, what a great job on this playhouse! Such things didn’t exist when I was a little girl either. Someone in our trailer park must have gotten a new refrigerator and we got the box it came in. Placed on its side on our patio I cut a door and windows and decorated the inside with drawings of furniture and appliances. Thank you for this giveaway….fantastic! It occurred to me that for those of us who won’t win, an old camping tent would work, too!